The water level on local rivers in central provinces and cities has begun decreasing following rainfall reduction, the National Hydrology Meteorology Forecast Center warned on Tuesday. Local authorities and functional forces have helped residents to quickly stabilize their life. 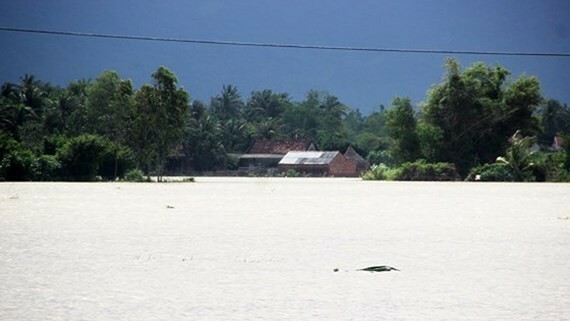 Statistics showed that around 17,000 houses in Tam Ky city, Thang Binh, Duy Xuyen and Nui Thanh districts, Quang Nam province have been inundated under water with damage being estimated to reach tens of billion of Vietnamese dong. At least 6 deaths and missing people have been reported in Binh Dinh’s districts of Hoai Nhon and Phu My by yesterday evening. Three people were killed and another missing after a heavy rain lashed Binh Son district in Quang Ngai province. More than 2,000 houses and hundreds hectares of vegetable and flower crops were swept away by cyclones and water level rise. Traffic routes and low- lying areas have been isolated after long- lasting heavy downpours flashed parts of Thua Thien- Hue province. 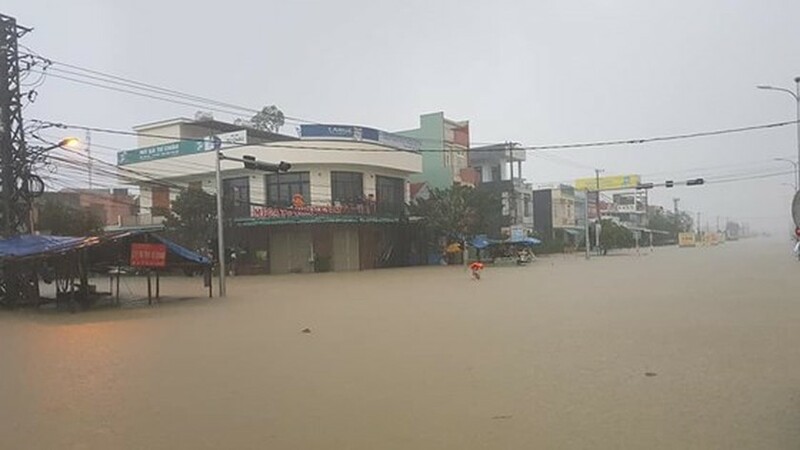 By yesterday afternoon, at least nine people were killed and another missing in the prolonged downpours and flashflood which lashed central provinces and cities such as Quang Tri, Thua Thien- Hue, Quang Nam, Binh Dinh and Quang Ngai, reported the National Steering Committee for Natural Disasters Prevention and Control. The latest weather bulletin from the National Hydrology Meteorology Forecast Center said that waves of chilly temperature have begun in the Northern region. The lowest temperature in the capital city of Hanoi reached 11- 12 degrees Celsius. Because of the cold wave, the northern region have seen temperatures drop to 11- 14 degrees Celsius, even falling below 9-11 degrees Celsius. The damaged cold is expected to remain within next 2-3 days. The cold snap has resulted in medium- heavy downpours in provinces from Nghe An to Quang Ngai with the highest rainfall of 50- 200 mm. Ongoing cold waves in combination with the east wind convergence are forecast to create heavy rainfalls on the large scale from Nghe An to Khanh Hoa from December 16. Within the next couple of days, rise of water level is predicted to hit local river systems from Quang Binh to Phu Yen provinces and that could trigger huge flashflood and landslides in low- lying areas.